Being a new parent can be pretty overwhelming during the first year of your baby’s life. There is so much to get used to with 4 month sleep regression, teething and growth spurts. You finally develop a routine that works great with your baby and you are looking forward to breezing through the last quarter of the first year. And then there it is staring right at you —- The 9-Month Sleep Regression. Most babies don’t start to have difficulties at 9 months, but any of the issues they had at 6 months have become bigger as the baby has grown, become stronger, and has a better understanding of how to “work the system” (like crying JUST long enough to make you give up any hope of letting them soothe themselves to sleep on their own). Understanding why your baby is going through this sleep milestone might be the first step to dealing with the problem. These factors show major reasons why your baby might be getting less zzzs. Physical development – Going through major physical development like crawling, sitting and maybe even standing can be taxing at 9 months for your little baby. You might find your baby crawling or standing inside the crib instead of being quietly asleep. Sometimes the practice for this physical development happens at night and can affect night sleep with the brain being too wired to settle into sleep. When you are going through these physical milestones make sure your baby has plenty of opportunity to practice their new skill during the day. This will help them perfect the skill quickly – so they know how to go from sitting or standing back to lying down. Hopefully it will also tire them out so they spend less time playing in their crib. If they still insist on practicing in their crib, be patient and just give them more time to calm down and go to sleep. Separation Anxiety – Babies start to recognise objects, animals and people at about 9 months. Ever wondered why peek-a-boo gets babies so excited? It is because they do not understand object permanence, so once it is out of sight, they believe it doesn’t exist. Your baby starts to feel anxiety over your leaving the room. They seem to think you might leave and never come back coupled with their lack of sense of time.They understand that their actions produce reactions from parents and most babies like to test this out by shrieking and crying at every opportunity to have their parents running to them. Playing peek-a-boo during the day is a great way to help your baby start to understand that just because they can’t see you, you don’t cease to exist. After that, slightly bigger and longer periods of time away from your baby can help. For example, go into another room for a minute or two and come back with a big and exciting “surprise”. Never sneak away from a baby who is going through this phase, even if there are tears. If you leave with a smile and an “I”ll see you soon” they soon understand that you leaving is not a bad thing and that you always come back. They need to trust you and that you will return. In addition, if you leave in tears too, that will only feed your babies anxiety. These are some tips to help you get through this phase without breaking a sweat as a new parent. Create an optimal sleep environment to help your baby settle into that deep slumber faster. You can try removing all gadgets and toys that could distract your baby from sleeping and keep the room dark, cool and with white noise. Calming your baby helps put them in the right mood to get some sleep. Make sure your baby has been fed well and has a clean diaper for a good night’s rest. 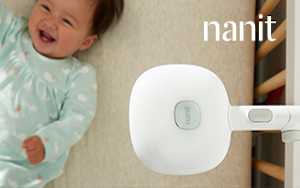 Provide support for your baby’s separation anxiety. Try reassuring your baby that you are not going to disappear if you leave the room with extra cuddle time. But remember to set a limit on the amount of time spent dealing with separation anxiety at bed-time. Your baby needs to know that you are going to come back in a few hours and not get used to having you in the room to be able to sleep long-term..
Be consistent with routines and nap schedules. Being consistent with your baby’s sleep routine, and your responses to them, will help your baby move through this phase quickly. Babies thrive tremendously on set routines and this is not the right time to interfere with their routines. Put your baby down to sleep in a drowsy state, but awake. Keep your goodbyes short and simple. Do not try to sneak out of the room once your baby gets drowsy. This only worsens the separation anxiety and strengthens the theory that you might leave and never return to them. You can incorporate the use of comfort items into their sleep time with a special ‘lovies’. Remember, not every sleep problem qualifies as ‘sleep regression’. 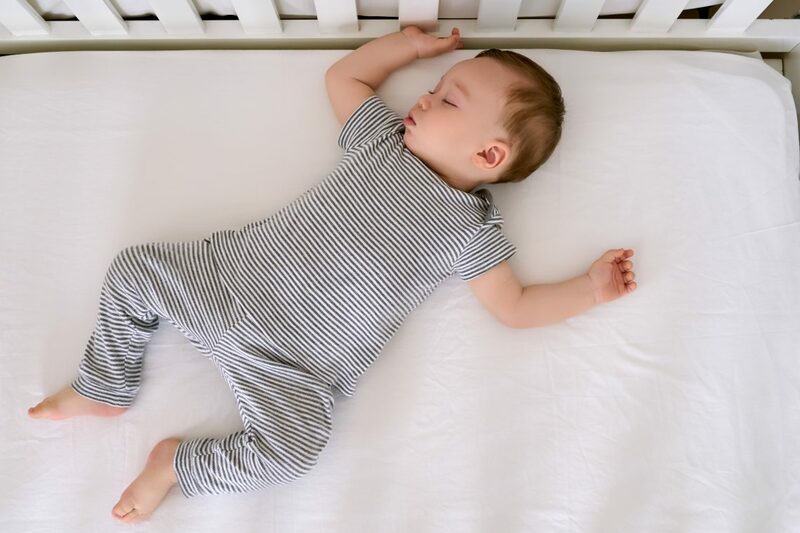 If your baby has had sleep problems during the 6th, 7th and 8th month, it could be a tell-tale sign of a lingering problem such as sleep associations that should be checked out. Other issues like teething could be the cause of lack of sleep and figuring that out would save you a whole load of worrying. Doubts may arise about your parenting abilities but it is not the time to lose confidence just yet. This can be a difficult phase, but here’s some good news: this sleep issue means your baby is maturing and progressing with major developments. Make a plan and Stay consistent.